This easy to blend pencil is as deep and intense a colour can get. 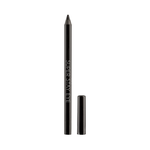 This is the pencil for that perfect smokey eye. Ultra-waterproof, 24-hour long lasting texture, dermatologically approved. Soft and flawless application, easy to blend. A small pencil sharpener for eye and lip pencils that can go with you everywhere thanks to its size.